A power outage brought rides at a New Jersey beach amusement park to a halt, leaving some passengers stranded. The outage struck Playland's Castaway Cove in Ocean City around 8:30 p.m. Monday. Amusement park Vice President Brian Hartley tells the Press of Atlantic City riders were evacuated as part of their procedure. 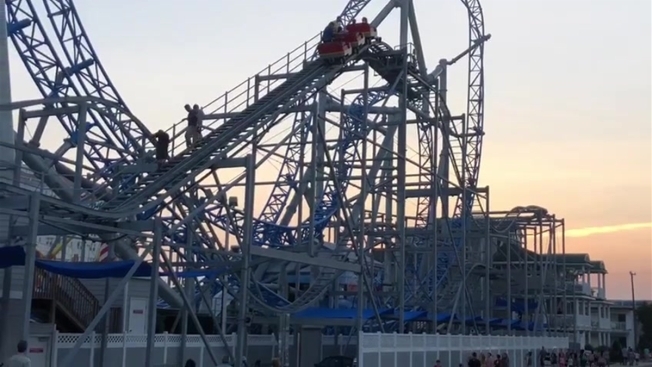 People could be seen being escorted down from a stuck roller coaster. Ticket refunds were given to those affected, Hartley said. He says power returned to the area after about 20 minutes. Atlantic City Electric says part of their equipment will need to be replaced in connection to the outage. The power company says the cause of the outage is under investigation.